The SWS-200 is designed for use in applications where accurate and reliable visibility measurements are required with the addition of WMO 4680 present weather codes. The sensor measures Meteorological Optical Range (MOR) as well as reporting the presence of liquid and frozen precipitation. Precipitation is reported using WMO table 4680 codes for easy integration with aviation systems. 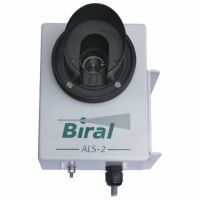 A feature of Biral sensors is the ability to report precipitation intensity according to a range of national standards. 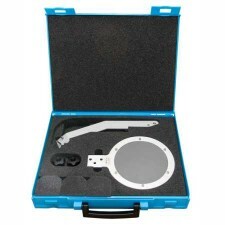 The unique backscatter receiver gives the SWS-200 unparalleled abilities in distinguishing frozen from liquid precipitation, a key factor when determining the safety of aircraft operations. 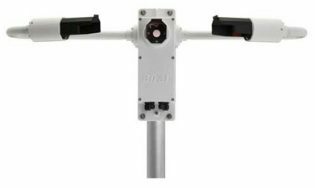 Whilst the 10m to 75km visibility range makes the sensor suitable of use in meteorological observation networks and research applications. Analogue voltage and current outputs, complimented by relays that can switch on visibility and/or precipitation, make the sensor suitable for connection to local warning indicators and legacy systems. An optional interface to the ALS-2 Ambient Light Sensor makes the SWS-200 particularly suited for use in aviation applications where Runway Visual Range (RVR) information is required in addition to METAR data. 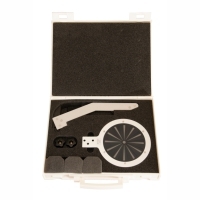 As standard the sensor is fitted with an extensive self-test capability which includes window contamination monitoring and output compensation. The 45° forward scatter angle and 850nm infrared light source used by the SWS-200 provide the best possible visibility measurement accuracy in all weather conditions. Visibility is output as Meteorological Optical Range (MOR) whilst World Meteorological Organisation (WMO) Table 4680 codes are used to report present weather. The backscatter receiver, unique to Biral present weather sensors, gives the SWS-200 the ability to discriminate between liquid and frozen precipitation with exceptional accuracy. Liquid precipitation scatters very little of the transmitted light towards the backscatter receiver, whilst frozen precipitation, be it ice pellets, hail or snow, scatters a significant amount in this direction. By observing the ratio of forward to backscatter for each precipitation particle the SWS-200 provides a much more accurate assessment of present weather than competitors’ sensors which rely on measuring the size and velocity of particles for classification. The reliance on size and velocity measurements for the determination of precipitation type is error prone as the velocity measurement is dependent on the local wind speed. In common with all Biral visibility and present weather sensors the SWS-200 uses 2kHz modulation of the light source combined with narrow pass band optical filters and synchronous detection at the receiver to ensure the measurement is not affected by bright or flashing lights. This design also ensures the sensor accurately reports visibility during precipitation whilst allowing the accurate reporting of drizzle, rain and snow. The horizontal hood design eliminates the problems caused by surface reflections that are a source of error in sensors employing look down hood geometries. Communication with the sensor is over a serial data link that is user configurable for RS232, RS422 or RS485 signal levels. ASCII encoded data is used and the sensor can operate in either a polled or broadcast modes. The data message can include a time stamp from the internal real time clock in addition to the standard visibility, present weather and basic self-test information. 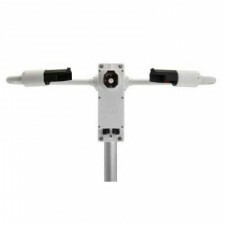 The sensor is supplied with two user configurable threshold relays and one fault relay. One threshold relay can be configured to report the presence of precipitation. The sensor operates from a low voltage DC supply and requires just 3.5W. The low power window heaters that can be set to only operate when condensation is detected take an additional 2.5W. 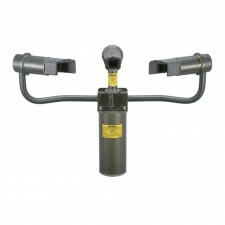 The higher power hood heaters are supplied from a separate allowing the use of an unregulated heating supply. 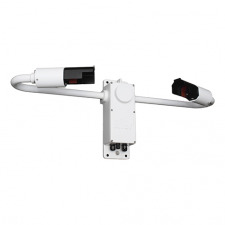 The SWS-200 is a single lightweight unit that can be easily installed by one person. The sensor enclosure is constructed from aluminium which is surface passivated and finished with a white powder coat paint. It is designed for use in all types of weather and has a wide operating temperature.